Adventures of Shadow® other sites! 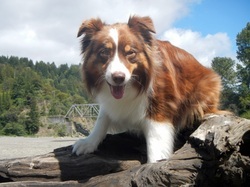 Shadow, a loyal and rambunctious Australian Shepherd, is always up for some fun and excitement. From family camping, road trips, sailing and mountain climbing, to historic lighthouses, Shadow's sense of adventure knows no bounds!